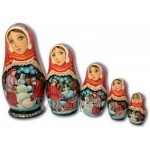 Number of dolls: 5 Artist: Ivanova School: Simbirsk Size: 4'' .. 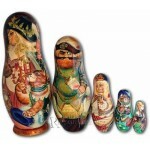 Number of dolls: 5 Artist: Ivanov School: Moscow Size: 8 inches These Matryo.. 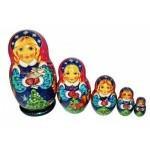 Number of dolls: 5 Artist: Ivanova School: Simbirsk Size: 3'' A fine exampl.. 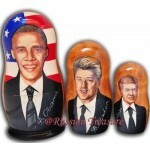 Number of dolls: 5 Artist: E. Muravjeva School: Size: This charm.. 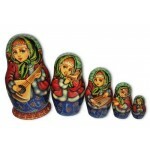 Artist: Abaeva Oksana School: Symbirsk Number of dolls: 5 Size: 6'' These Musicians Ru.. 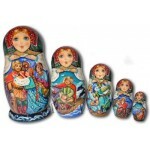 Number of dolls: 5 Artist: Muravyova E. School: Simbirsk Size: 8'' Hand crafted and per.. 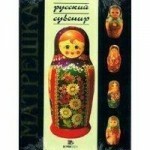 This Russian Souvenir book is a fantastic overview of historical origins of Russian Nesting Dolls.. 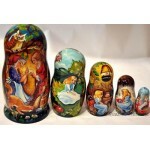 Number of dolls: 5 Artist: Fedotova School: Simbirsk Size: 6'' This set of R.. 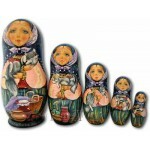 Artist:Ivanova School:Symbirsk Number of dolls: 5 Size:6 inches This wonderful se.. Artist: Elena Muravyova Size: 6.5 inches This Museum quality set of Matryoshka nesting doll..
Name: Winter Entertainments Number of dolls: 5 Artist: Obukhova School: Simbirsk Size: 6'..
Russian Army Double Eagle Hat Badge is used in Russian Army. 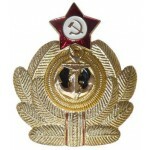 This is an authentic military badge ..
Soviet Navy Officer Hat Badge was used in USSR Navy on a Officer's parade uniform. 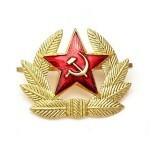 This is an aut..
Soviet Red Army Hat Badge was used in USSR Red Army on a parade uniform. 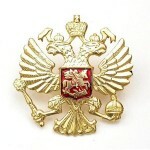 This is an authentic mil..